MetaTrader (MT4 / MT5 platforms), so you can start your day ahead of the pack. 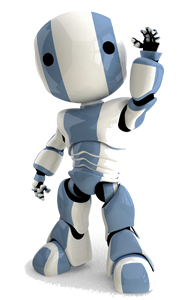 If you wish to automate your forex trades & never miss a trade we recommend you subscribe to our FXFocus Futant Expert Advisor Trading Robot for only $19.95 a month. To trade the FXFocus Balanced Trading Portfolio we recommend starting with a minimum balance of $3000 USD in your forex broker account. We use AvaTrade as our forex broker because they allow us to trade Forex, Commodities, CFDs, Equities, Bonds, ETFs., This allows us to build a defensive and strategic trading portfolio. Currently this month AvaTrade are offering 50% bonus on new accounts and deposits. A $2000 investment plus 50% credit from AvaTrade will will give you enough margin of $3000 to start trading the FXFocus Balanced Trading Portfolio. To sign up now to AvaTrade click here. Once you sign up to AvaTrade we recommend you to subscribe the FXFocus Futant Trade Copier Expert Advisor Trading Robot so you never miss a trade. Monitors FXFocus Signals in real time. Automatically trade our FXFocus Forex Signals for you on your computer. LOTS = ((ACCOUNT_BALANCE x LEVERAGE) / LOTSIZE) x RISK% , e.g. Simply because they allow you to trade all FXFocus Forex, Commodities, CFDs, Equities, Bonds, ETFs and Indices Signals. Our trading portfolio strategy is for long term stable growth to achieve financial freedom. We give you the time to focus on things that matter most, you can trade from anywhere via Mobile or PC where ever you are when you receive our FXFocus SMS Alert Signals. your value, support options and cost benefits. The principals of AvaTrade have a long history within the derivatives Financial services Industry, both locally and internationally. Access 24 hour, 2-way streaming interbank pricing on forex, spot gold, silver, oil, equities. bonds, etfs and indices. AvaTrade’s state of the art trading platform is a free and easy to use click and deal trading platform. Full Australian telephone support is available. Trade transparent competitive two-way streaming prices. Enjoy AvaTrade’s integrity on pricing with the most competitive spreads and consistent liquidity on the widest range of currency pairs. What you see is what you get. See the prices that you buy or sell at in your chosen market. Access margin requirements of 0.5% (leverage of 200 to 1, in some approved cases 400 to 1). Deal over the internet or by phone. AvaTrade’s experienced and knowledgeable staff are available to answer any questions and provide assistance. Prompt attention is given to administrative or technical support queries. Lot sizes start at 0.01. Including Market, Limit, Stop, If Done, and OCO. It is simple to open and fund your trading account. AvaTrade aims to make it as seamless as possible to trade. pair open, or simply close out any existing individual position of your choice. open position, and p/l in real-time.